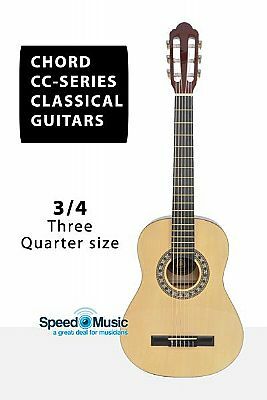 Great sounding entry-level 3/4 size classical guitar with linden construction and traditional slotted headstock, fitted with normal tension nylon strings. Ideal first instrument for students. 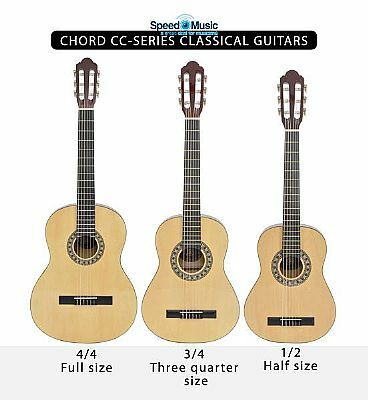 Wide fretboard for classical playing styles. Position markers on fingerboard edge. Top, back and sides: Linden laminate. Fingerboard & bridge: Ebonised maple.